If Ofsted feel that the library is so important for literacy – and this is a pretty strong endorsement – isn’t it about time that school libraries were inspected by Ofsted, and the lack of a library made a point of failure for a school? 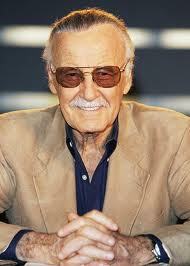 Stan Lee Excelsior Book Award launched! A new book award has been launched by Sheffield Librarian Paul Register, with the blessing of the great comic book writer Stan Lee. This award is for the best graphic novels, and Paul says that ‘I have no doubt that these books will lead to discussions, debates and enjoyment across Sheffield’s schools – and across gender, race, reading ability and social class.’ If you would like to read more about the award, including how to enter, and which books are shortlisted, please go to this page. This is another excellent example of how school librarians are constantly trying to instil excitement into reading for young people, using many different media. I hope that this inaugural award will be an amazing success! behind setting up the Heart website. You can read her passionate plea here. Vote for the new Children’s Laureate! Did you know that you can vote for the new Children’s Laureate? Anthony Browne’s time of office is up, and nominations are now open for the new Laureate. If you visit their website: http://www.childrenslaureate.org.uk/show/feature/Home/CL-Comp-2011 you can vote for who you think should be the next Laureate. There is also a great competiton for under 14’s to enter, where they can win the amazing prize of being at the Gala announcement of the winner in June 2011. Think carefully – who would best represent children’s books and libraries in the next 18 months, and cast your vote!